We no longer have young children around our house but I remember well how much they embraced early chapter books when they were learning to read. My guys were keen on the Magic Tree House, The Bailey School Kids and Puppy Tales by Jenny Dale to name a few so when I saw these Frozen-themed books I was excited for little girls that love Disney's Frozen. 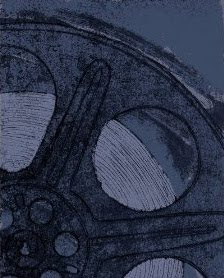 Take a popular movie like this one and turn it into an early chapter book for children aged 6 to 9 or in grades 1 through 4 and you are bound to capture even the most reluctant reader's attention. 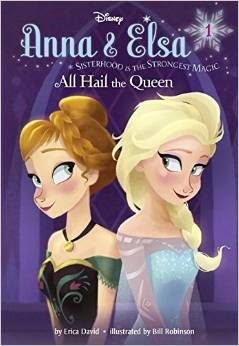 The Stepping Stone series is called Anna and Elsa: Sisterhood is the Strongest Magic and so far, I see three titles: All Hail the Queen, Memory and Magic and A Warm Welcome. Hopefully, the books will be very successful and Disney will release more titles. I also like the idea that they are hardcover books, which means that if they become treasured volumes they will last longer and possibly even be held forever as part of a little girl's childhood book collection and even though they are hardcover books, they are not expensive retailing at less than $10 on Amazon. You can learn more about them on Amazon yourself by clicking here. What do you think? Is it a good idea to tie in popular movies with children's books or would you rather they be two totally different worlds? 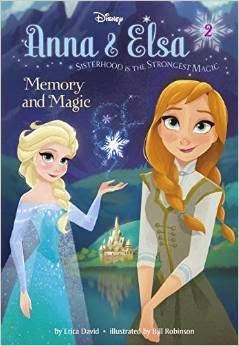 Buy these Frozen Chapter books on Amazon. More Frozen themed gift ideas. Children's chapter books in my eBay store. 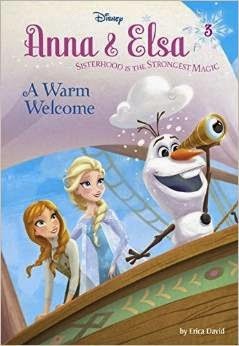 I have not read these books but I think they will encourage young children to love reading and also love imaginative play, since Frozen is so beloved. I agree, Trish. Thank you for the visit.